For outstanding service in the sales, installation, and repair of air conditioners in and around the South Shore of Montreal, deal with Climatisation Chauffage St-Hubert, the expert in the field of heating and air conditioning in Quebec for 20 years. Consisting of a dozen skilled refrigeration technicians trained to excel in the sales, installation, and repair of air conditioners of all kinds, Climatisation Chauffage St-Hubert offers you a professional and reliable team who will live up to your standards. Doing business with the best air-conditioning manufacturers in Quebec, such as LG, Goodman, and Friedrich, Climatisation Chauffage St-Hubert offers products of the highest quality at unbeatable prices. Accompanied by excellent guarantees and outstanding after-sales service, both the sale and installation of your system in your home or business will be in keeping with the highest standards. Whether for sales, installation, or repair of wall or central air conditioner, our expert technicians will be able to help you find the product that fits your needs or to diagnose the problem with your current air conditioner and fix it quickly and efficiently. Our technicians will visit you at no cost to assess your needs. Located in Saint-Hubert, on the South Shore, our company serves the West Island and South Shore of Montreal, Laval, and surrounding areas. 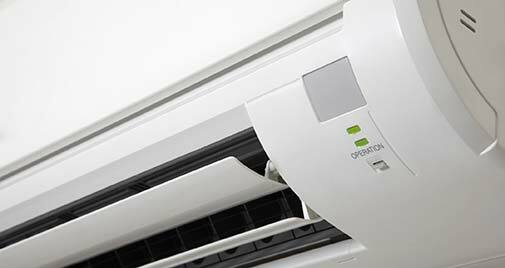 Contact us today to learn more about our services covering the sale, installation, and repair of air conditioners.